File Types: PNG,AI,All Files; File Size: 165.07 MB; DPI: 300 DPI; Vector: Yes. 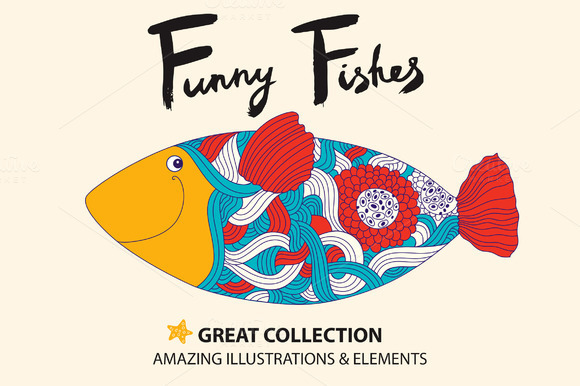 Amazing collection with funny fishes for cheerful design on summer or marine life themes. - 32 PNG files with fishes on transparant background THANK YOU! Keywords: fish, summer, waves, vector, illustration, marine, sea, funny, cartoon, pattern, decorative, wallpaper, underwater, collection, crab, whale, cute, design, stickers, nature.